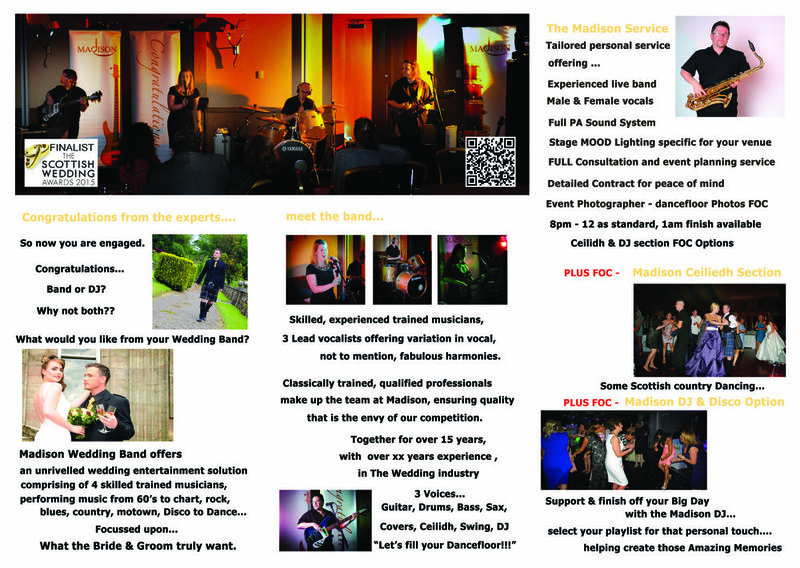 Madison is a lively 4 piece band offering over 60 years of Wedding Industry Experience just to you on your Big Day. 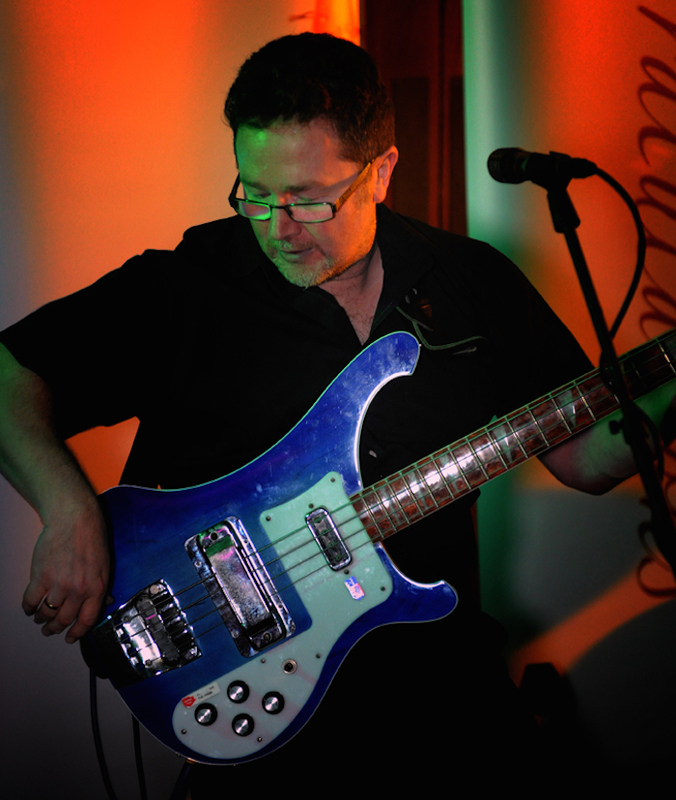 Offering unrivalled wedding entertainment solution performing music from 60- chart, rock, blues, country, motown, disco to dance, all focussed on what our brides & grooms Truly want. 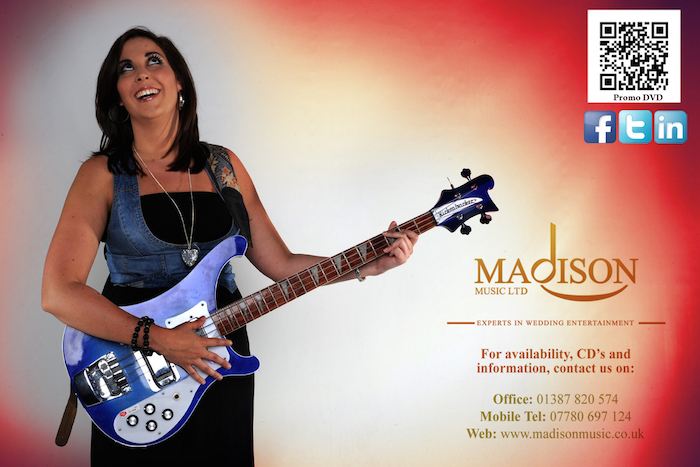 Skilled, trained, qualified musicians, 3 lead vocal not to mention exceptional harmonies, drums, guitar & Bass, make up the team at Madison ensuring a quality you can depend upon. Let Madison fill your dancefloor! With a tailored service, this experienced live band offer a complete event consultation and planning service, utilising great Sound System and Lighting, combined with ceilidh and Disco sections to compliment your evening. Contracted Service for peace of mind, event consultation to plan, event photographer to capture your dancefloor photographs, – everything planned and managed on your Big Day.